Countdown to the Olympics 2016! It’s been 7 years since Rio beat Madrid, Tokyo and Chicago in the bidding process and was chosen by the International Olympic Committee to host the 2016 Games. For us, Brazilians, it’s been 7 years following the preparations, changes, ups and downs, and everything that comes with hosting a major international event. Rio is not my hometown, but it’s a city close to my hometown. It’s also where I went to university and where I started my journalism career in TV 16 years ago. It will soon be discovered by the thousands of international visitors who in 30 days will set foot in Brazil for the first time. Rio Olympics 2016: What to Expect? Much has been said about these being the first Olympics in South America (either Summer or Winter Olympics). What few people realize is that these are the first Summer Olympics during winter (yes, it’s officially winter in the Southern Hemisphere). But guess what? Winter in Rio is like you see in the video above. There maybe a few days where temperatures will reach 60 F (15 C) and cariocas will leave home wearing heavy coats and scarves, but most likely there will also be days where going to the beach feels just perfect. Rio is a major metropolis with incredible natural beauty. My advice? Be open minded and let the city surprise you. It’s a record number of countries in a record number of sports. Of course it wouldn’t be a major event if there was no controversy involved, and we all know I’m talking about the late deliveries and last minute changes. Well, we’ve heard similar (if not worst) stories before. In Beijing 2008, who can forget the concerns about air pollution, allegations about human rights violations, and the media guidelines imposed by the government on local media regarding their coverage? And what about when the South Korean flag was presented to a North Korean delegation in London 2012? Issues existed in previous events and will continue to exist in the future. We are humans and I believe people always strive for the best. But I’m sure the 2016 Rio Olympic Games will be memorable in the best possible way. Brazilians really know how to throw a party. Rio certainly had and still has challenges, but after experiencing the 2014 World Cup and seeing up close the amazing atmosphere throughout Brazil, I get full of goose bumps just for imagining international visitors again getting thrilled when in 30 days the wait is over. Don’t take only my word as an example. The Brazilian Tourism Authority (Embratur) conducted a study following the event and discovered that 95% of foreigners would like to return. Once you land in Brazil, it’s easy to understand why. Just ask my husband. He was born in Canada and for the past 10 years he has been the one who starts conversations about when it’s time to fly down. What Else can you do in Rio? Downtown Rio is one of the areas which will benefit most with the Games as the region has been totally revitalized. As such, the city and the Organizing Committee are launching tourism related projects involving the local communities which can be found on a dedicated website called Green Passport. 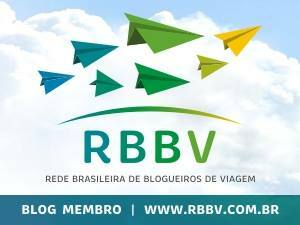 They have also listed hundreds of itineraries in Rio de Janeiro (city and state) and throughout Brazil which propose a new look at destinations, whether increasing the contact with nature, discovering World Heritage Sites or exploring the authentic culture. The traditional Olympic Torch Relay has started in Brazil in May 2016. 12,000 people will carry the flame across 300 cities in all 27 Brazilian states. By August 5th it will have traveled a total of 12,500 miles (20,000 km) by land and 10,000 miles (16,000 km) by air. The final stop is the Olympics Opening Ceremony in exactly 1 month. The Olympic cauldron will be lit, signalling the beginning of the Games. Here you can learn more about the upcoming schedule. My warmest regards with cheers of excitement!